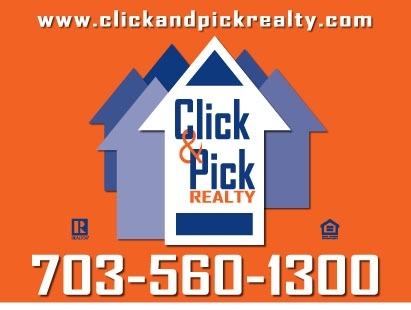 Securing successful real estate results is as easy as a click of the mouse with Click and Pick Realty, LLC. Offering full service real estate brokerage services in the Maryland and Virginia D.C. Metro area since 2004. We are the lifeline to savings for the savvy consumer everyday. The time saving convenience of technology empowers your home search and saves money, too! We offer up to 1.5% of the sales price to our buyers at closing. Sellers' total listing commission at closing is 4.5% with no broker administrative fees whatsoever. Whether buying, selling, leasing or using our property management services, CPR is the right choice for a simple and smooth transaction. homes on the market that meet your needs.